Whether it’s the cute coworker at the office or millions of moms around the world, everybody has a way into their hearts and minds. Here’s the problem though — figuring it out. That’s when strategy comes in. But, before that, we need to know a lot about the person (or persons) we’re trying to sway. I’ve learned that emotional cues (sometimes called “human truths” or “universal truths”) are often the most successful ways to enter into your desired person’s (or persons’) life. For example, let’s go back to the coworker at the office. Perhaps you notice how they arrive to work at the same time, always holding a beautifully designed cup of coffee from that local shop with the “hipster logo” shining in the morning sun. You may have never heard of the shop, or even like coffee, but you love that style of design. Then, you notice that both of you have the same brand of water-infusing bottles. Six months in, you also notice their afternoon snack-time patterns (fresh veggies, organic Greek yogurt, sea salt dark Mexican chocolate). All things you truly enjoy. These are all data points. Opportunities to get “in.” Design, food, style, manners — all truths of the human experience. All opportunities to enter someone’s life. Reaching the masses is basically the same idea. Just a bit more complex. A bit bigger. Enter BIG DATA. A trendy name, yet a real movement, that expresses the collection of everyday behaviors in all of humanity. Our traces. Our breadcrumbs left behind in and around our lives. Both digital and analogue. Very smart people have this down to a science in many businesses and companies. Often turning information into great, useful, personalized stories tailored to specific audiences, shoppers and customers at specific moments in time. The concept is a little scary at first, yet the usefulness these products provide is undeniable. The idea is actually simple: Bring relevant assistance to people around the world in the most natural form possible. Apple and Amazon aren’t too far behind with Siri and Alexa inside their hard- and software ecosystems. Even Microsoft’s Cortana is infiltrating all things IoT (Internet of Things). Finding an “in” with people’s own behaviors — that’s the reality we’re living in. That’s the world we now have to build for every day. So whether you’re trying to find love, or make the masses fall in love with your brands and businesses — start with their emotional cues (their truths) — and make yourself part of their stories to come. As digital and the Internet of Things continue expanding, so has the art of writing copy and messages with impact. 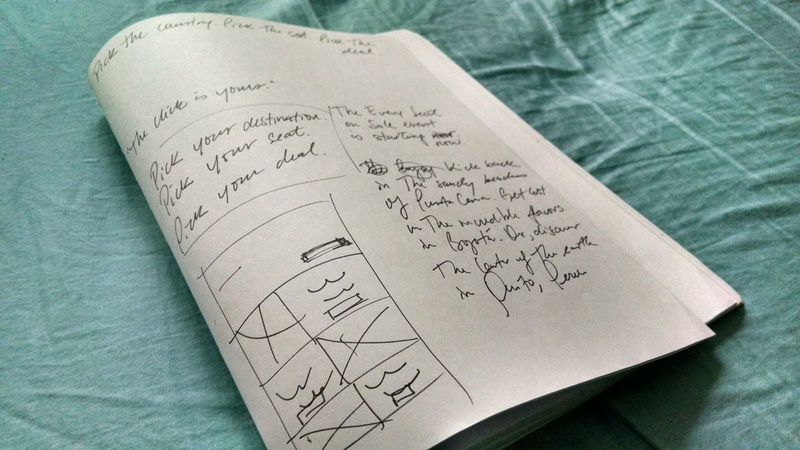 Much like an art director sketches before touching their Creative Suite tools, for the past three years, the biggest change in my writing has actually been wireframing my copy messages. Responsive design (and my current personal favorite, Material Design) has changed the way people consume information, and it has been a true challenge for those of us trying to figure out how people will consume information moving forward. Many brands are finally tackling this new responsive era, but it is just truly becoming the norm across all types of businesses. This alone made me think of messaging differently: Are people scrolling? Are they moving? Is it as simply human as it can be? 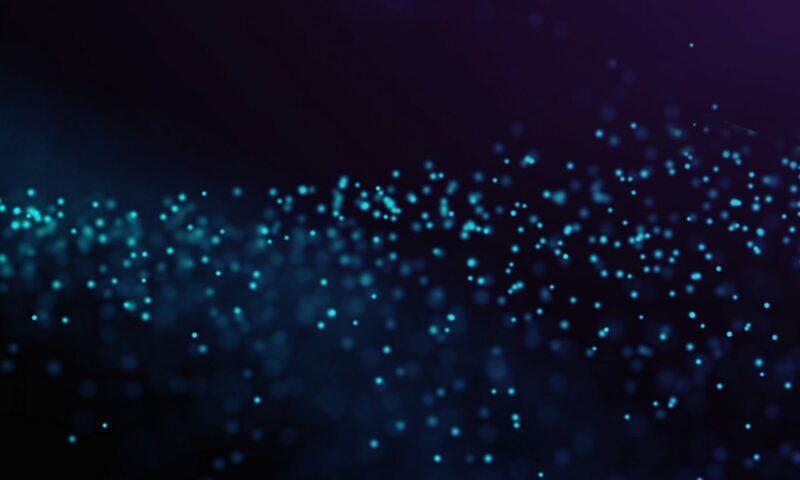 Exploring so many potential answers has been a true adventure, but one thing is clear: if it can’t be digested quickly, anywhere they are, it ain’t gonna work. Once I land on that idea, I tend to guide my clients into the top three messages they want to say, and stop writing. Anything else can be said in a different ad, email, tweet or any combination there of. But why does it matter in the first place? A. Organize the presentation about a hierarchy of messages. B. Use a constantly evolving attribute of the material to sequence it along a path. C. Order the concepts so that earlier concepts facilitate the understanding of later concepts. D. Provide a memorable introduction and conclusion. There are many schools of thought on what makes a message work. I happen to identify with these because of the tech-centric, conversation-driven world we’re building. What doesn’t change is the human experience. And, how we communicate — successfully — with each other through well-told stories. Even though a picture is indeed worth a thousand words, someone needs to put those words in the proper order, so your audience cares, engages and shares your brand’s story. Our society is definitely becoming more visual (think of Instagram, YouTube, KIK, Snapchat, etc.). However, the art of storytelling still drives the human experience, which is why you need someone who understands how we all behave, evolve and continue sharing stories with each other. No matter how many screens, gadgets and gizmos we continue inventing, someone needs to continue passing our stories and findings with each other. That’s where you’ll find a good copywriter sitting with a pen or pencil most likely over a blank piece of paper ready to fill it with grace and purpose. Since I got into advertising, and copywriting specifically, I quickly learned about two people, David Ogilvy and Leo Burnett. Reading about them in the book The Art of Writing Advertising: Conversations with Masters of the Craft, which was a collection of interviews by an Ad Age editor published in the ’60s, awakened my passion for advertising and copywriting. While at McCannSF, my MAIP mentor advised me to get Hey Whipple, Squeeze This: A Guide to Creating Great Advertising by Luke Sullivan, which made me realize how incredibly naive and behind I really was in comparison to so many other young and talented writers, art directors and advertising professionals. But, I did not take my mentor’s advised for granted: I got the book, dove into it, practiced many of Mr. Sullivan’s points and I am sure it will serve me as a go-to-guide in the next… well, my whole career. The book is priceless. 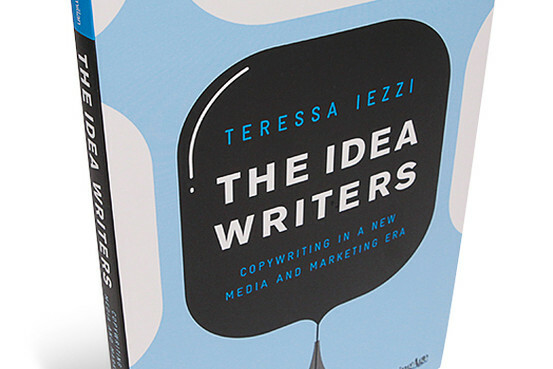 However, just two weeks ago I read about this new book coming out called The Idea Writers: Copywriting in a New Media and Marketing Era by Teressa Iezzi, editor of Ad Age’s Creativity. The moment I read the Ad Age post about the book I knew I had to buy it, so I went to Amazon and I pre-ordered it. Two days later the book came in and I dove into it. I had just began reading the classic Ogilvy on Advertising, but I felt this new book had something big to say. And, I was not mistaken. If you follow me on Twitter and/or Facebook you are probably sick and tired of hearing me praise this thing, but I cannot stress how incredibly wonderful this book is. Let’s just say that reading was never a passion of mine (I can be honest, right? Advertising books got me into it), yet I finished this book from cover to cover in less than a week. I am aware this may not be a big deal for most avid readers, but for me this is HUGE! Now I am back to Ogilvy on Advertising, and I honestly think I appreciate it even more because once you get into it you can sense the trends and tones that have changed since he wrote the book, but you can also appreciate the general craft of copywriting and the evolving role of the copywriter. So why am I sharing all of this? And, who am I to advise anyone about what to read or not to read? Honestly, I guess I am a nobody. I am just entering the field, I have never written a book, nor have I won any award in advertising. But I am in love with this field. I am passionate about this field. And I am smart enough to recognize and understand trends when they are in front of me – and this book will be a classic – so you should get it now, especially if you are not fully sure what the role of the copywriter is (or will be) in the advertising world. Stay cool, stay connected, stay balanced.